are you running productive meetings? Meetings are a challenge to say the least. We need them (at least the right meetings) to do our work, but we do them so poorly that we mostly detest them! So often if feels like a no-win scenario. However, it doesn’t have to be this way at all. Patrick Lencioni has a great book out on how to do effective meetings entitled “Death By Meeting” and has some great resources on his website. I also came across this article, “What Everyone Needs to Know About Running Productive Meetings“, today on the Harvard Business Review website that has some good pointers for how to actually have interesting and productive meetings. 1. First the question – “Are you addicted to meetings?” Great question! Some good points here and several echo what Patrick Lencioni has written. Meetings are an important part of work. Doing meetings well is an important leader and manager skill and well worth you learning how to do them well!! In this backstage interview at the Chick-fil-A Leadercast 2012, I asked Patrick M. Lencioni about corporate culture and how leaders can use it to drive performance. 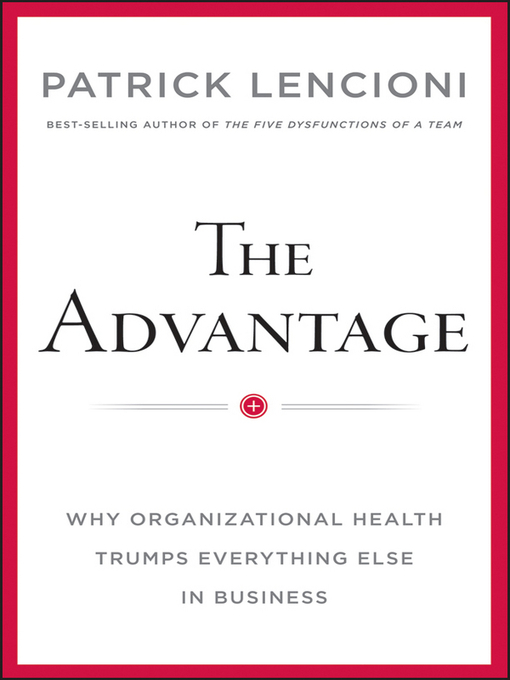 His new book, The Advantage: Why Organizational Health Trumps Everything Else In Business, is focused on this topic. This would be a great interview to watch with your team, take notes, and then discuss. There are few things more important than intentionally creating your organization’s culture. How Do I Fit Here? Good Monday morning to you! This weekend a good friend of mine posted on Facebook his opinion that naps ought to be a required part of the first week of daylight savings time. After getting up this morning with my body clock at odds with my alarm clock I think he may be on to something. How important is it for you to know how you fit within your organization? Does it help you to have clarity regarding how your role advances the mission of your organization? Does it help you to know just how it is that you add value to your organization? For most of us, it does matter. We don’t want to just be a cog in a large machine. Most of us want to do things that matter and we want to know just how it is that we advance the mission of our organization. And so do the people we lead. So take time today and think about the people you have the privilege of leading and how vital they are to your organization (yes – even the ones that irritate you!) and then take the time to begin telling them just how they fit and how important they are to the organization. Hope you have a great week and maybe you will have the opportunity to catch a couple of naps! Trust is absolutely foundational to the effective operations of a leadership team. You can try all the gimmicks, bring in consultants give orders and so on, but if the members of your leadership team do not have this level of trust, it will always be less than it could or should be. So take the time and do the hard work needed to build trust on your team – it is worth the effort! What is THE Most Important Trait of a Leader? Good morning – would you be interested in learning what is one of the most important traits of a leader? It has been found to be absolutely vital to effective leadership by both Christian and secular leadership “experts”. Business authors such as Jim Collins (Good to Great), Patrick Lencioni (The Five Dysfunctions of a Team) and others agree on this point. Christian authors such Crawford Loritts and Oswald J Sanders also agree that this trait is vital. The antithesis of this trait is also the cause of the downfall of most leaders. Humility is key to success as a leader – pride is a sure path to a leader’s downfall. 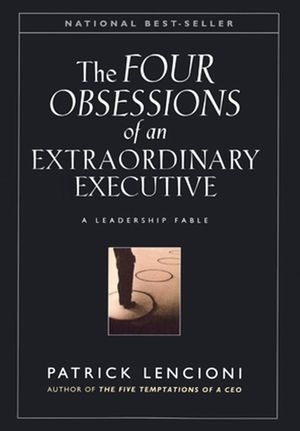 Click here to read a powerful piece by Patrick Lencioni on this vital trait of leaders. Remember, as leaders you are called to serve and shepherd – not command and dictate. Meetings – the word makes most of us cringe, and with good reason. As I mentioned Monday, meetings poorly done can be crippling to your organization. However, good meetings can propel you forward, the problem is, most of us don’t know what a good meeting looks like! 1. The Daily Check-In: this is a 5 – 10 minute stand up meeting where you & your direct reports quickly go over the plans for the day. Usually done every day or most days. 2. Weekly Tactical Meeting: usually 45 – 90 minutes where you review weekly activities and metrics and deal with tactical obstacles / issues. 3. Monthly strategic: usually 2 – 4 hours in length where you discuss, brainstorm and decide on strategic issues that impact long-term success. 4. Quarterly Off-site Reviews: usually 1 – 2 days in length where you go into depth reviewing and adjusting your strategy as well as the development of leaders. If you want to get better at meetings, take some time to pick up and read Death by Meeting – you will be glad you did so.